Rung for The Children In Need Appeal with a £40 donation to the cause. First submitted Thursday, 16 November 2017 at 22:51:47 by Clive J Stephenson. 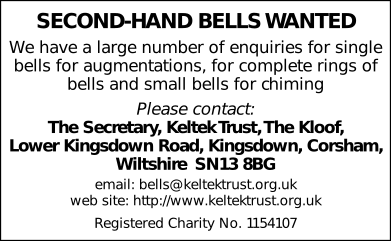 Sent for publication in The Ringing World on Thursday, 16 November 2017 at 22:53:04, and printed in issue 5564.